In large bowl, stir together almond butter, brown sugar, egg, baking soda and salt. Stir in oats, bacon and chocolate chips. Shape dough into 1 1/2-inch balls. On ungreased cookie sheet, place balls 2 inches apart. Flatten slightly. Bake 8 to 10 minutes or until edges are light golden brown. Cool 2 minutes; remove from cookie sheets to cooling rack. Cool completely. Store in tightly covered container. 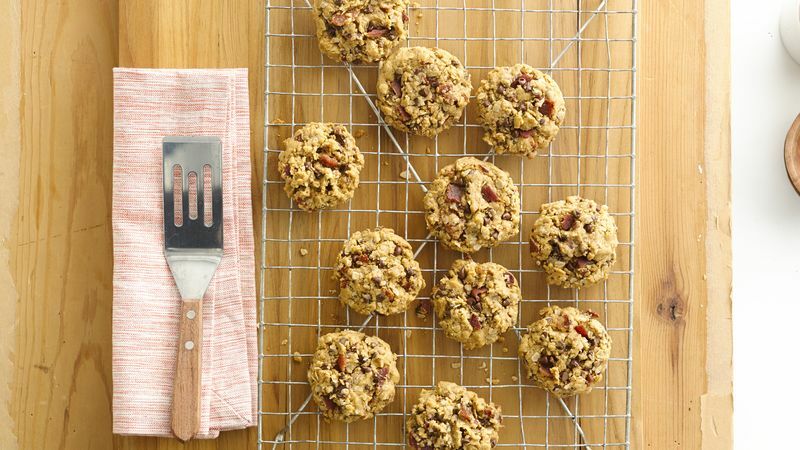 Shape cookies fast by using a cookie scoop. Substitute peanut butter for almond butter to satisfy the peanut lovers in your house.